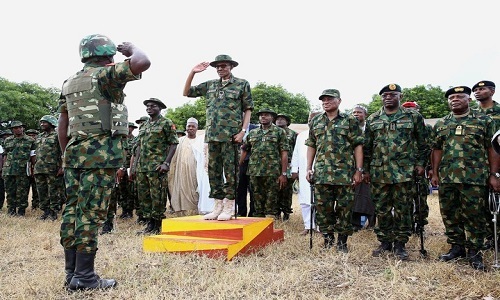 President Buhari orders deployment of military force to Zamfara state – Royal Times of Nigeria. The Federal Government has assembled a 1000-strong military force to launch fierce attacks on the bandits terrorising the villages and towns of Zamfara State. President Buhari made the revelation via his Twitter handle, @MBuhari while discussion about the agenda for the ECOWAS-ECCAS Summit in Lome, Togo noting that the top agenda will be peace and security. Senior Special Assistant to the President on Media and Publicity, Mr Garba Shehu who also confirmed this in a statement made available to newsmen said the force comprises men of the Nigerian Army, Nigerian Air Force, Nigeria Police, and the Nigeria Security and Civil Defence Corps (NSCDC). Shehu also revealed that the Air Force has begun the deployment of fighter aircraft to Katsina, the airport with the closest proximity to Zamfara to ensure immediate and effective response to the menace of the bandits.